Getting some fun mail in your mailbox can be such a pick me up, which is why envelope art is so rewarding to do! I love dressing up envelopes for the mail I send to my friends. I usually do something easy and quick, and this way they have a little splash of colour between all the bills and junk mail. I’m excited to share with you a fun Scandinavian flower envelope art tutorial using the awesome stencils from StencilGirl and some great inks from Imagine Crafts! To start, cover the envelope with a light layer of gesso using a palette knife or a plastic card. Make as many layers as you like – I’ve done two on mine! Use the dot stamp and the Smoky Gray ink, lightly stamp all over to create a background. To create the two-tone flowers, I covered up the flower part of the Bold Flowers stencil and stenciled the stems with a cosmetic sponge and Deep Lagoon. Then I switched the paper to stencil the flower with Habanero or the Electric Coral. The ink stays wet for a while since it’s going on a non-absorbent surface, so try to be careful! I dried each flower with my heat gun in between because I am notorious for smudging my work. Next, use the black and white pens to draw details on the flowers! You can make them all the same, or mix it up like I did below. Then decide which lucky human gets to receive your new piece of envelope art and send it! Envelope art is so much fun to create! I think there is a sense of fulfillment from creating it because you know it’s intent is to bring joy to the receiver. 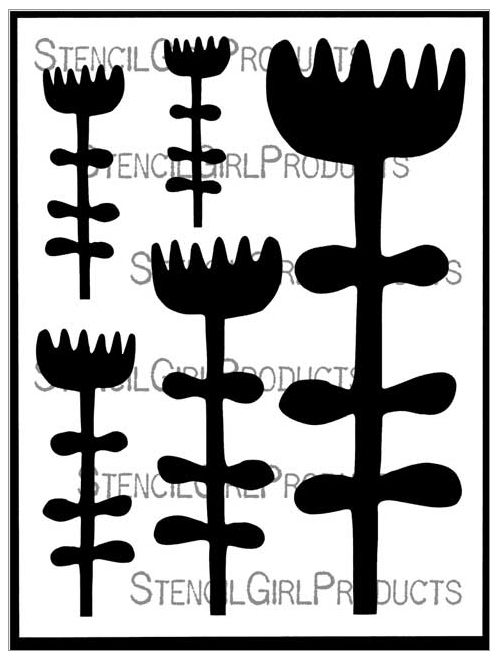 I can’t wait to send this Scandinavian flower art envelope! 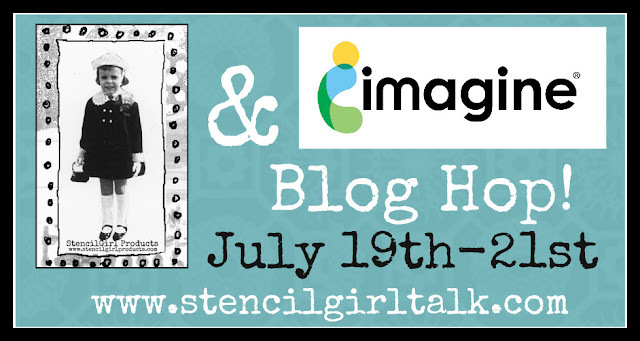 And because StencilGirl and Imagine Crafts want you to be able to create some killer envelope art too, they are having a giveaway! 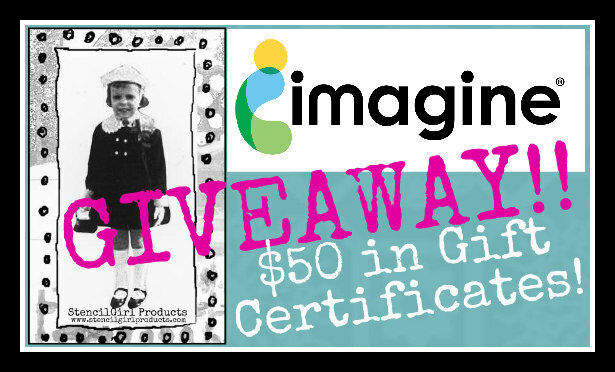 Winner will be announced on StencilGirl’s Facebook page and Imagine Crafts’s Facebook page on Monday, July 24th. What a clever use of this stencil!